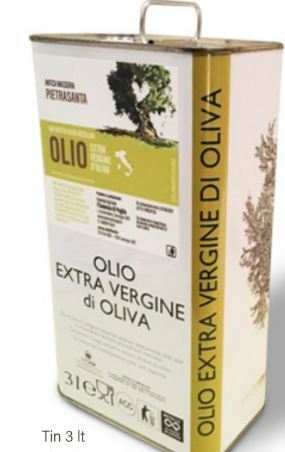 Produced in the province of Brindisi in Southern Italy, this cold pressed extra virgin olive oil is made from olive tree that are over 100 years old. The producer’s olive tree orchards have been declared protected landscape with trees that are up to 600 years old. The extra virgin olive oil produced is light and very versatile for everyday cooking. Pleasantly bitter it can be used raw for salads or in cooking traditional Italian dishes or for frying. Highly recommended for high end restaurant use or to please demanding customers at your local upscale deli. Sold in stainless steel 3 liters tanks. Also available in other formats. The producer is seeking global expansion. sfoodle tested this Extra virgin olive oil and it is highly recommended, it is light with a pleasant bitterness making it suitable for everyday use. Recommended to those who do not like strong olive oil, Essenza di Puglia is well balanced and does not overwhelm other ingredients.